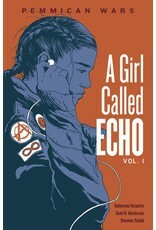 Echo Desjardins, a 13-year-old Métis girl, is struggling with her feelings of loneliness while separated from her mom and adjusting to a new school. Then an ordinary day in Mr. Bee’s history class turns extraordinary, and Echo’s life will never be the same. During Mr. Bee’s lecture, Echo finds herself transported to another time and place—a bison hunt on the Saskatchewan prairie—and back again to the present. In the following weeks, Echo slips back and forth in time. She visits a Métis camp, travels the old fur-trade routes, and experiences the perilous and bygone era of the Pemmican Wars. 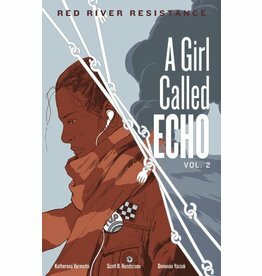 Pemmican Wars is the first graphic novel in A Girl Called Echo, a series by Katherena Vermette, Governor General Award–winning writer and author of The Seven Teaching Stories (HighWater Press). 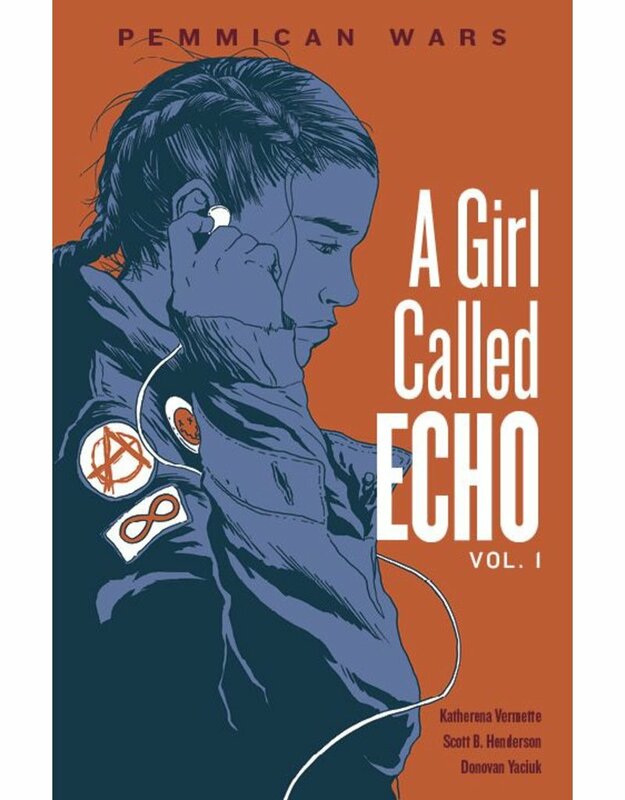 Compelling…realistic art…perfect pacing…Teens are likely to strongly identify with Echo and look forward to more of her adventures. A unique examination of a fascinating time of history and the thoughtful narration by an Indigenous teen make this a must-read.